Because of the volatility of our our world these days, every B2B company needs a Strategic Marketing Plan done every year. If your company does not have one yet for 2016, then you need to ensure that your Strategic Marketing Plan gets started right away, and it has all of the following factors included. Please watch the video to see what is needed and what benefits your marketing plan will do for your business. 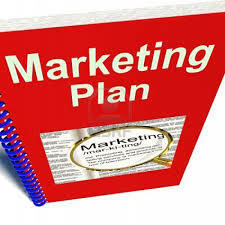 This is a great time of year to do your Strategic Marketing Plan. Most of your clients and prospects are planning, and by getting your plan completed before the New Year, you will hit the road running on January 2. And, if you sign up to do your Strategic Marketing Plan before January 31 2016, then I have a special offer for you of $1,000 off. My normal fee is $3500, but if you sign up before January 31 2016, you will receive your complete plan for $2500. Contact me by phone or email – see below – for complete details.